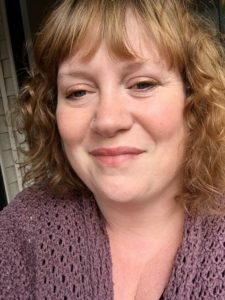 Bronwen is a busy wife and mother working full-time in mental health and substance use services. Born and raised in Vancouver, Bronwen first realized that she had mental health concerns when she tragically lost her first husband to a terminal illness in 2003. Several years later she experienced a bout of situational depression—a short-term form of depression that can happen after a traumatic life change—that resulted in a more general diagnosis of anxiety, mood disorder and depression. Not wishing to take medication to manage her condition she looked at alternate options. Being a person who likes tasks and checklists, Bronwen responded well to the idea of learning tools and skills that she could pull on as issues arose in her life and found the booklets to be very motivational. She also found the regular check-ins with her Bounce Back coach helpful for keeping her on track. Bronwen found that Bounce Back played an important role in helping her realize that she wasn’t alone, that there were tools that she could utilize in her lowest moments and that she could get better. After completing the workbooks, she was even motivated to take further steps to improve her life. We asked Bronwen if she had any words of advice for people considering asking for a referral to Bounce Back and she told us that although it required some discipline and could be challenging at first to set the time aside to work through it, she found it to be very rewarding. These were her parting words.